When you need a little extra energy. Ever just need some saltiness or chocolate while studying? Or need something to sip on while you’re struggling through a long day at work? We all have cravings when we’re stressed or commuting on a cold day, but are we choosing the best options to keep us energized during these post-holiday weeks? Just like our stomachs, the brain needs food to keep it going and able to focus. Not only are all of these snacks great on the go, but they will also give you a burst of energy that will sustain you longer than the usual soda, chips or sugary coffee drink. Check out these swaps that can fulfill any cravings you have while also giving you some beneficial nutrients for your body as you push through a crazy week of tests or work (or are trying to recover from a wild weekend). 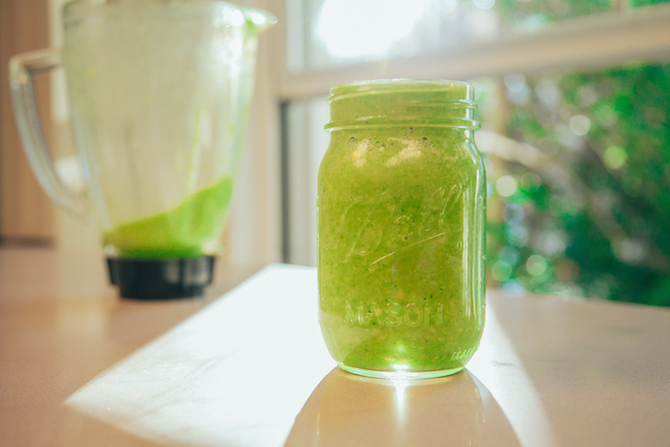 This smoothie will give you some antioxidants along with immune boosters like ginger to keep you feeling healthy and full. Not only are the kale, banana, and peach great sources of vitamins and minerals, but the matcha gives you a larger caffeine kick with 10x more nutrients than regular tea as it is a more potent source of raw green tea. These can be found at the checkout line in a 3-oz. bag for only 99 cents. 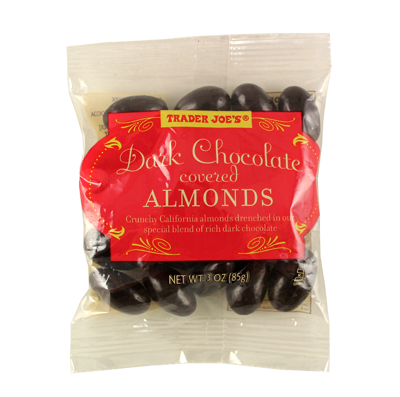 They are the perfect grab-and-go snack to curb your salty and sweet craving while also providing 6 grams of protein, 3 grams of fiber, and a good source of your “healthy fats”, which are the monounsaturated. 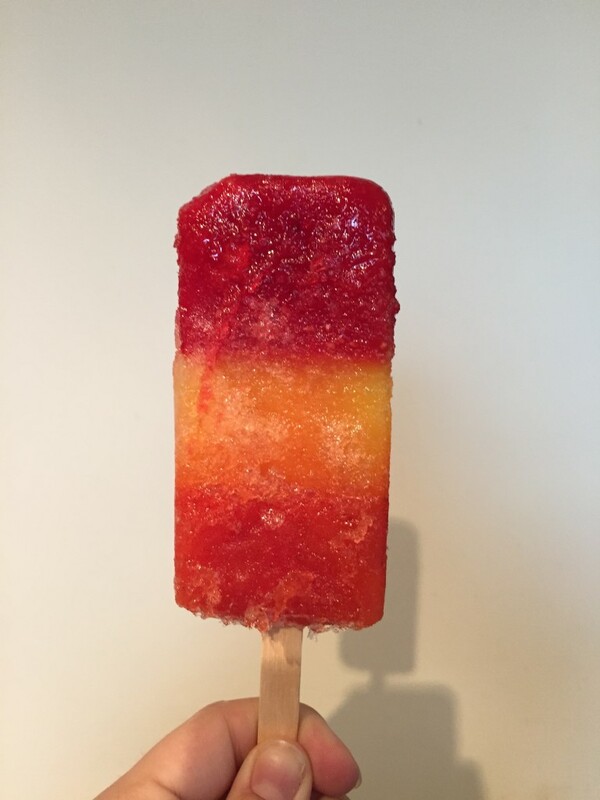 Blend together 1 frozen fruit bar and 1 cup of almond milk with a few ice cubes and voila. I like to make this because I am lactose intolerant and it is the perfect alternative when you really need a milkshake, but can’t. Using 100% real fruit bars gives you at least one serving of fruit, plus the low-calorie, heart-healthy almond milk and an energy boost from the riboflavin. If you really just want to order a pizza for a quick pick-me-up, it will do exactly the opposite. A big greasy pizza from Dominos will put you right to sleep and has no health benefits. 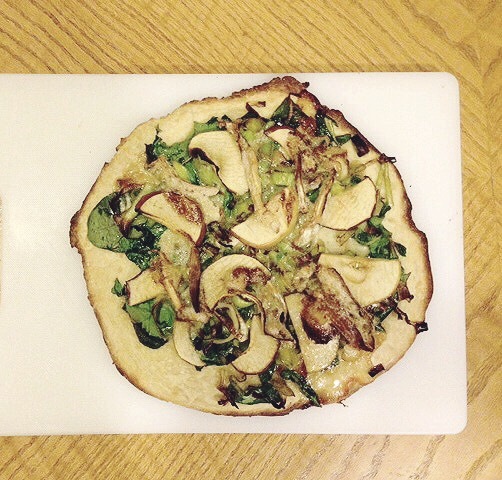 So try out this apple brie pizza that only takes 20 minutes, while providing your body with apples, which are low cal and great for fiber. Plus the spinach and brie add protein, fiber and vitamins, while tasting good. 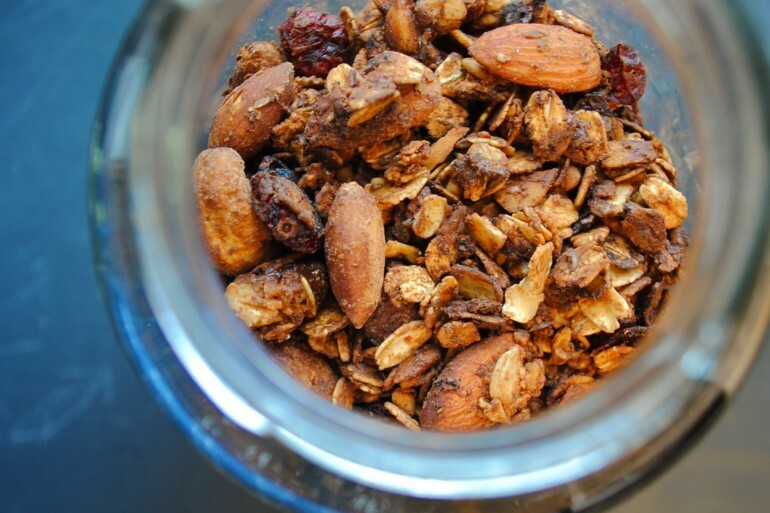 I really like this simple granola recipe that includes a lot less sugars and fats than a store-bought one and it can be flavored any way you want. Other countries eat yogurt for dessert, so why not start here. Top with plain yogurt (add berries if you want) and you are good to go. The greek yogurt includes plenty of probiotics and protein along with the healthy fats included in the granola to curb your craving and satisfy you longer. Everyone is all about the avocado toast now-a-day, so why not hop on that and be a little basic while you are craving something salty. 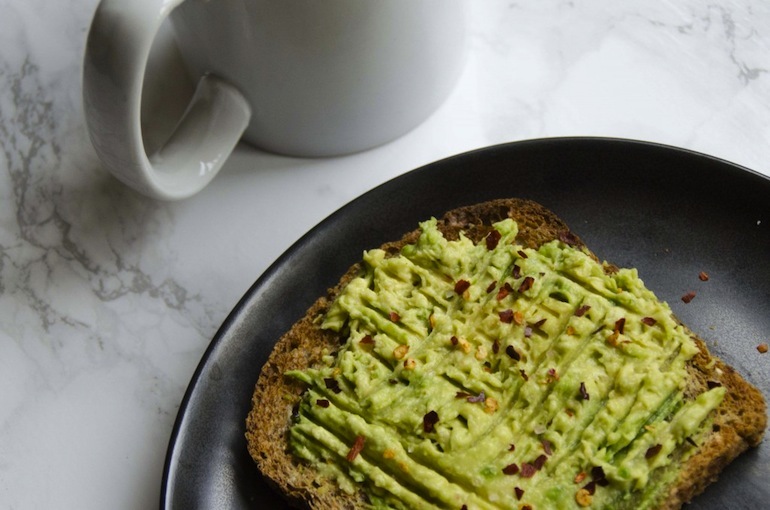 All you need is to layer 1/2 an avocado on whole grain toast, add some salt and pepper and you have a good snack to keep you full that includes nutrient-rich whole grains, healthy fats, protein, and can curb your salt cravings. Add a hard-boiled egg to your avocado for some more high-quality protein. 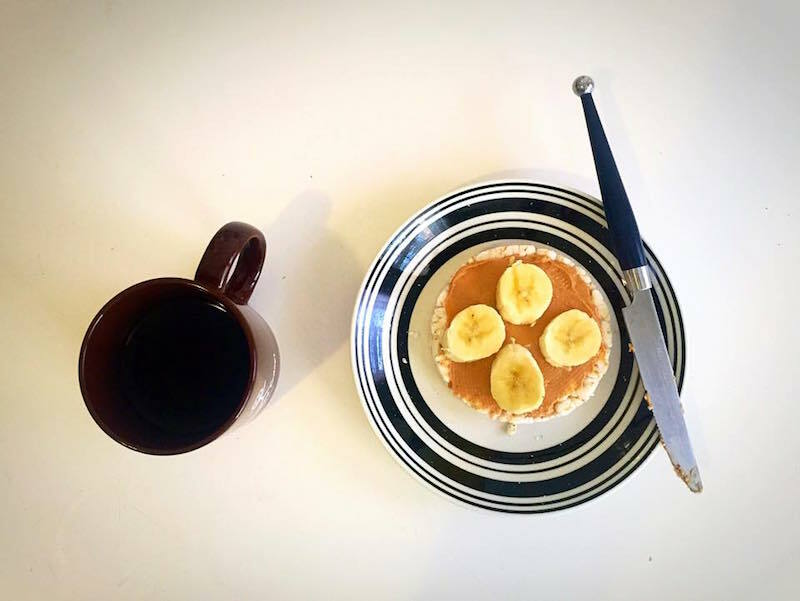 All you need is a rice cake, about two tablespoons of peanut butter on top and some banana slices. This hearty snack is perfect for those avoiding gluten while also looking to gain some fiber and protein to keep you awake to crank out that last paper. Drizzle some honey on top to take it to the next level. 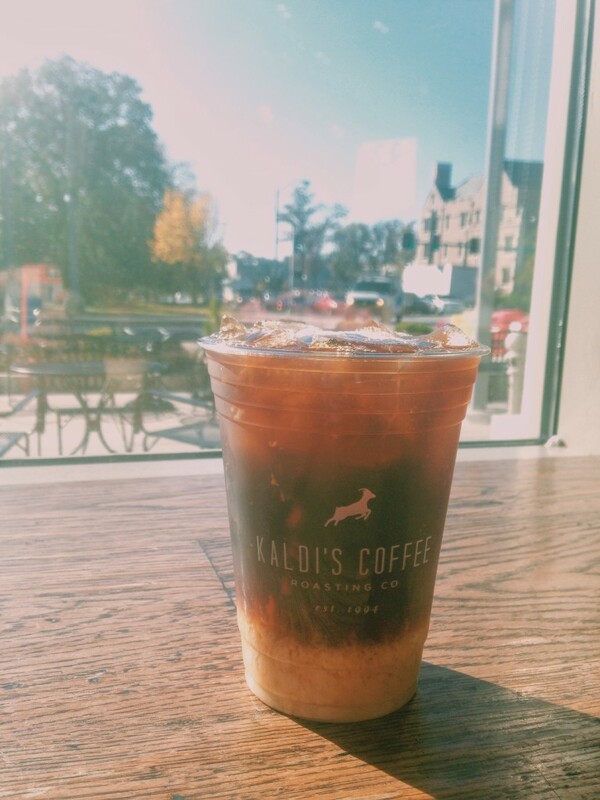 If you are craving coffee, but don’t want all the calories and sugar, just get yourself an iced coffee and add some vanilla almond milk. The coffee will not only give you your caffeine fix, but according to these 11 reasons why you should drink coffee, it will also keep you happier longer to get through a miserable week of work or class. A lot of vending machine snacks or dining hall options are packed with unhealthy fats, carbs, or calories. So why not make your own snack? A granola bar is a simple snack staple that will curb your hunger and give you a spurt of energy. 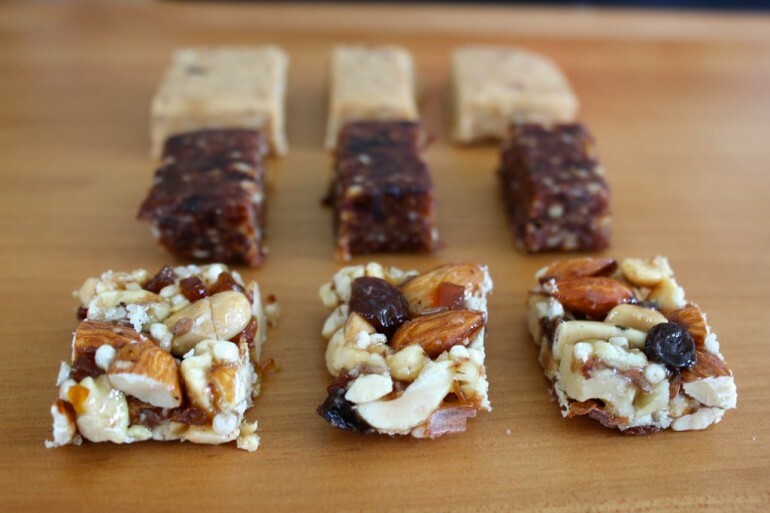 Try making this granola bar to see what you think before you buy some. If you are choosing a store-bought granola bar that is somewhat healthy, it is crucial to make sure that it is low in sugar, includes a lot of fiber and protein and includes no more than 10 ingredients (so you know it’s made out of actual food, not just chemicals).